The AAWR incorporates education into its programming by holding lectures, workshops, and classes that are open to the general public. Exhibitions often include artists’ talks and/or lectures on the subject matter being presented. There are also panel discussions and forums. 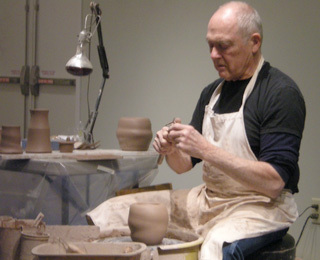 Art classes and demonstration are led by professional artists and most recently have focused on jewelry making, silk painting, and ceramic techniques. AAWR also has a strong student internship program that attracts college students majoring in studio art, art history and museum studies. Student interns gain extensive, relevant experience in many aspects of museum and arts management, including art cataloging, historical documentation, grant writing, collections management, curating exhibitions, installing shows, marketing and public relations, and general administration. AAWR has attracted interns from Baldwin Wallace University, Case Western Reserve University, Colgate University, John Carroll University, Kent State University, The Ohio State University, Tulane University and the University of Pittsburgh, among others. Contact AAWR for additional information on our programming, or call us at 216-721-9020.